Hygiena, a global leader in food safety and environmental sanitation testing, has announced that the product certification organisation, the AOAC Research Institute, has issued its Performance Tested Method certificate to the UltraSnap™ Surface ATP Test for identifying any possible presence of microbial contamination. Using a third party laboratory to test the results of UltraSnap on stainless steel surfaces in five food matrices, Hygiena essentially reproduced the conditions in a food processing facility. The test results demonstrated UltraSnap was able to detect ATP from surface soiled by food and beverages, at dilutions of 1:1,000 or lower. It was also shown to be stable and consistent, and crucially to have no variability at statistically significant levels. The validation marks the first of Hygiena’s ATP-based test products and only the second ATP monitoring device to receive an AOAC certification. 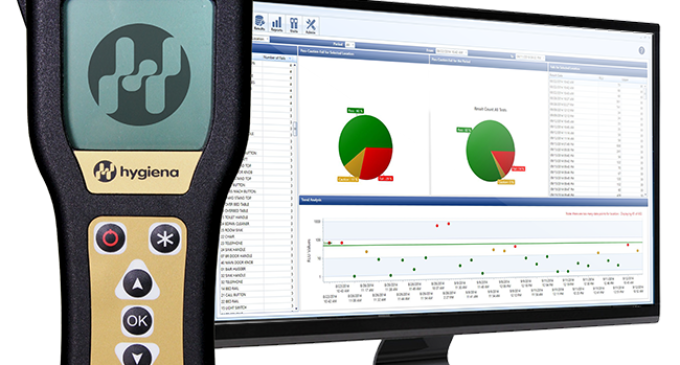 Visit www.hygiena.com/ultrasnap-food-and-beverage.html and www.hygiena.com/ensure-food-and-beverage-processors.html to find out more about the EnSURE™ quality monitoring system and the UltraSnap™ Surface ATP test.